We were so impressed last year with Folepi’s Winter Wonderland that we went back this year for an encore presentation. 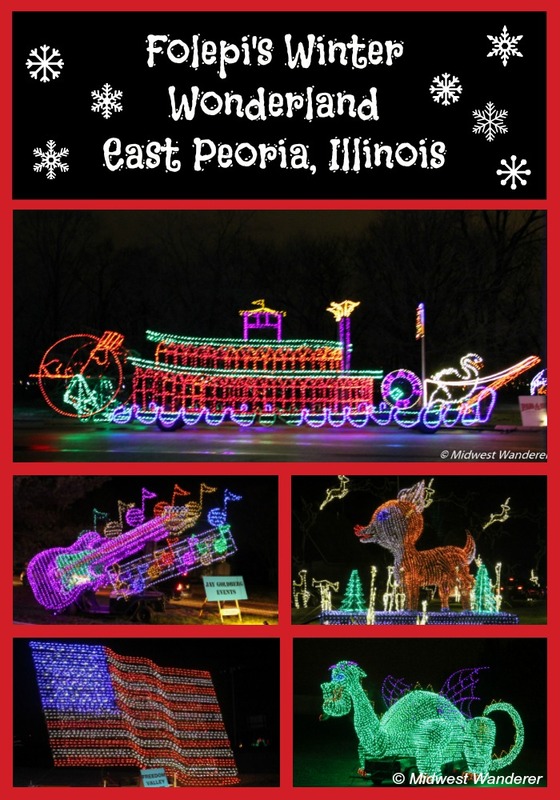 Folepi’s Winter Wonderland is the signature event of the East Peoria Festival of Lights. Editor’s Note: This article was originally posted in 2013 but has been updated for 2018. Be prepared to wait in line an hour or more to reach VFW Park. The lights are well worth the wait. Once in, you’ll turn off your headlights and follow the cars along the slow-paced drive through the two-mile long route. 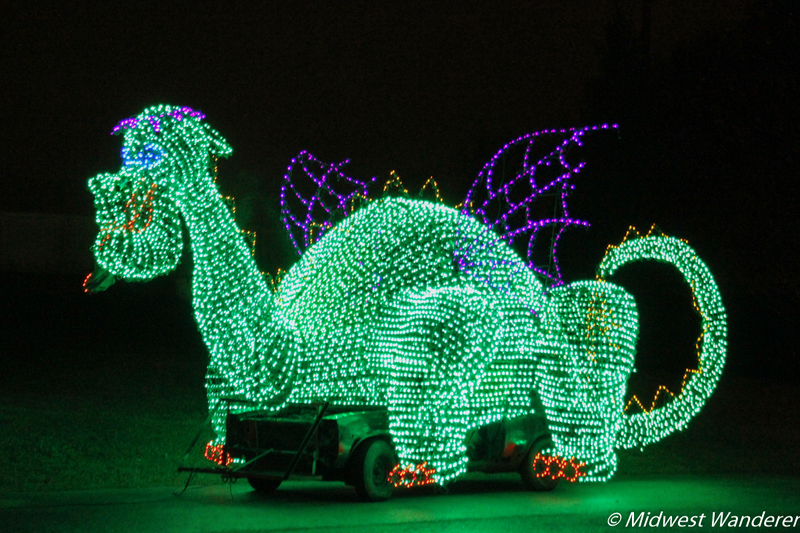 The festival showcases everything from traditional whimsical giant toy soldiers to spaceships and dinosaurs covered almost solidly with twinkling lights. 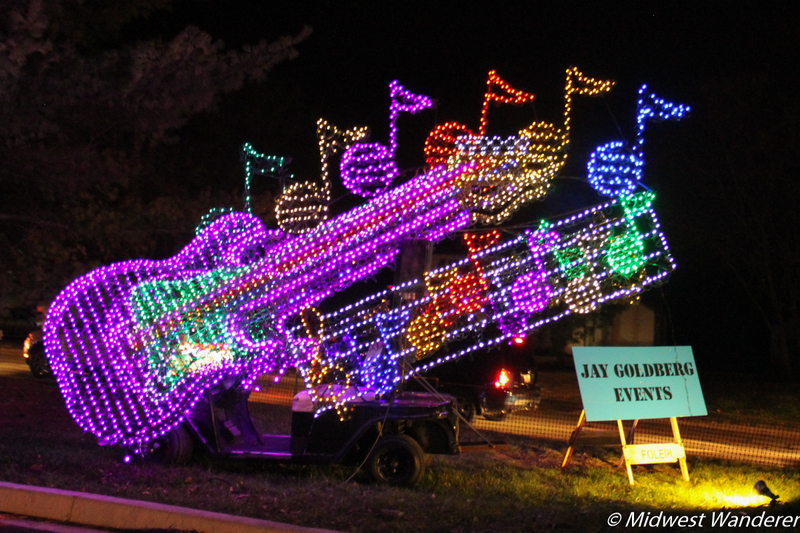 Many of the three-dimensional displays start as floats in the Parade of Lights and then are parked for the remainder of the season as part of the Winter Wonderland. 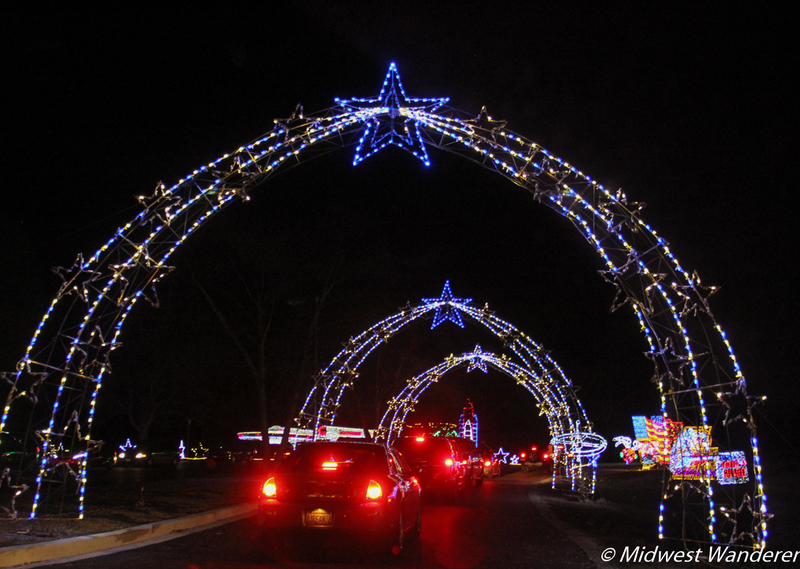 A series of arches, some covered with blue twinkle lights, others with reindeer seemingly jumping over your vehicle, and lots of two-dimensional displays add even more sparkle. Skiers that appear to glide downhill are a big hit, too. Everywhere you turn you’ll find another surprise waiting for you as you make your way through the lights loop. When you exit, continue straight a couple of blocks to reach the Narrated Nativity. Tune your radio to the station noted on the sign and listen to the Christmas story depicted in the series of dioramas. 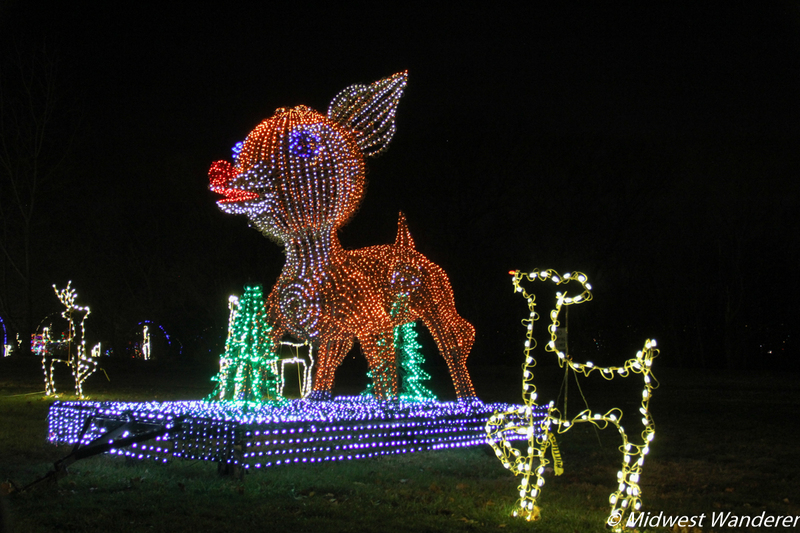 In 2018, Folepi’s Winter Wonderland runs from November 22 through December 31. The cost is $10 per car (more for buses). Check the web site for hours and directions. 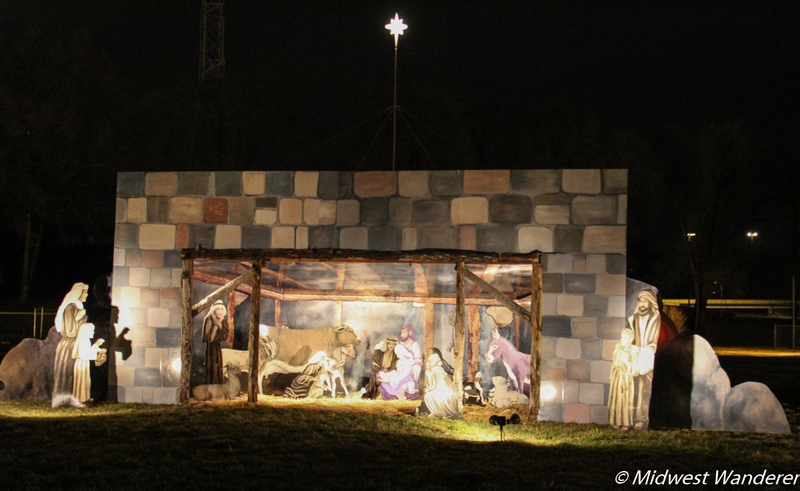 The nearby Narrated Nativity is open 24 hour a day and is free. My friends and I were there 2 years ago and would like to go back this year. What are the dates for 2019? Hi Era. The 2019 Folepi’s Winter Wonderland starts on Friday, November 22 and goes through December 31. What a wonderful way to start the Christmas Holiday. 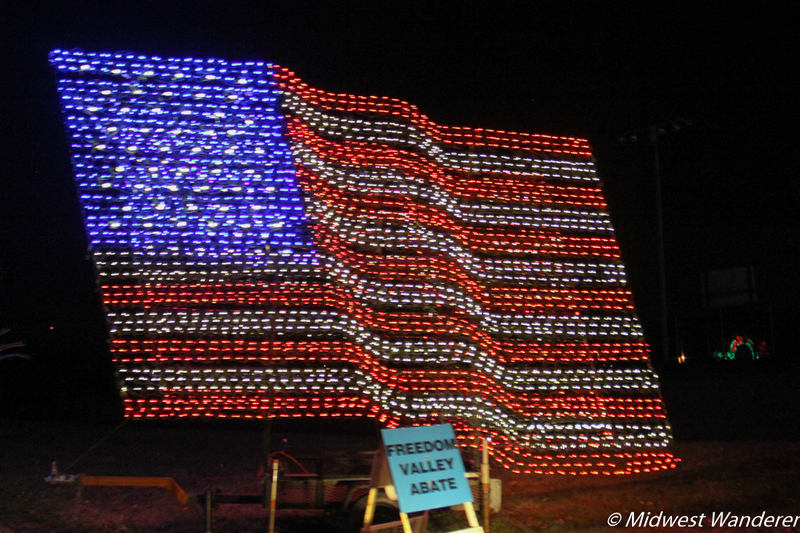 I have never seen such beautiful display of lights. Looking forward to 2019.